Despite its uses, Linux operating system is not as well known as Microsoft’s Windows or Apple’s Mac OSX systems. However, Linux is prevalent in Android phones, smart TVs, the internet of things, and a vast majority of the internet’s server infrastructure. There was even a short period of time where Linux was found on netbooks. Ubuntu is a Linux operating system that provides an alternative to the traditional Windows and Mac operating systems. 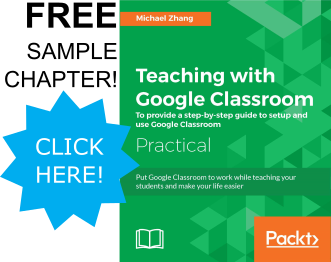 It is easy to install and comes with a complete office suite and an app store to download additional resources. Furthermore, Ubuntu Desktop can run more efficiently on older hardware than traditional operating systems. A laptop or computer to install Ubuntu Desktop. A laptop or computer (it can be the same on that Ubuntu will be installed onto) with Windows or Mac OSX to create the Ubuntu installation DVD or USB. This tutorial will use Windows. A DVD or USB drive to create the Ubuntu installation media. Open a web browser and navigate to www.ubuntu.com. 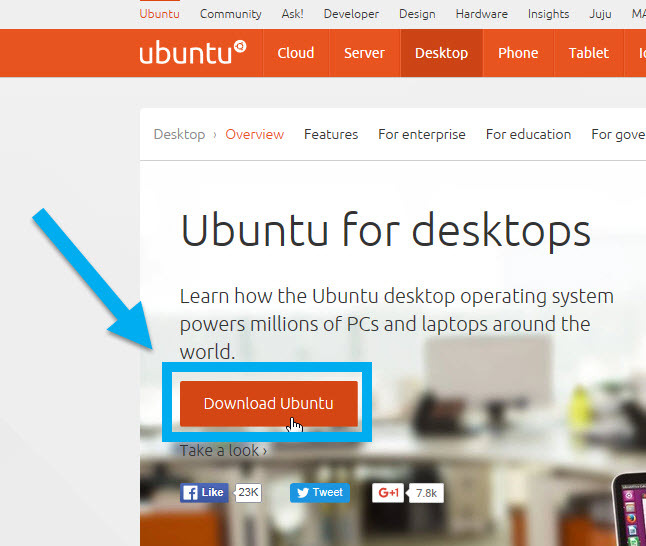 Click on the “Download Ubuntu” button on the page. The next page will have the system requirements for Ubuntu to function properly. Click on the “Download” button on the right. 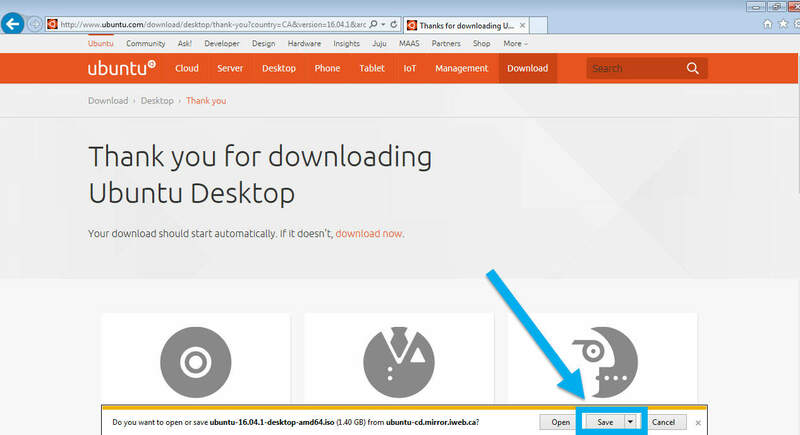 NOTE: There is a link for alternative download methods if you choose to use a torrent download client or want to download previous versions of Ubuntu. The next page will is a donations page. 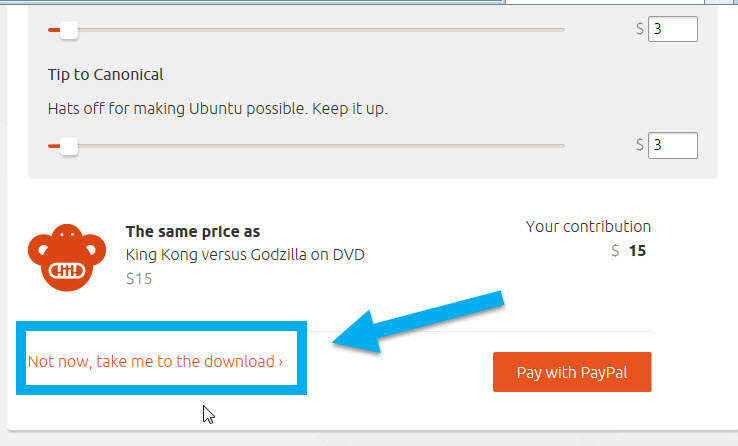 Since Ubuntu is free-to-use, it has the option to donate to the organization. There is a link at the bottom of the donations that allows you to download the file without donating. If you are using Internet Explorer, there will be a yellow bar that appears at the bottom of the screen. Click the “Save” button. If you are using another browser, the file will most likely automatically download. Once the download is complete, open the Downloads folder to see the file. When clicking on the file, an option in File Explorer will appear to burn the file onto a disc. A setup wizard will appear to guide through buring the DVD. 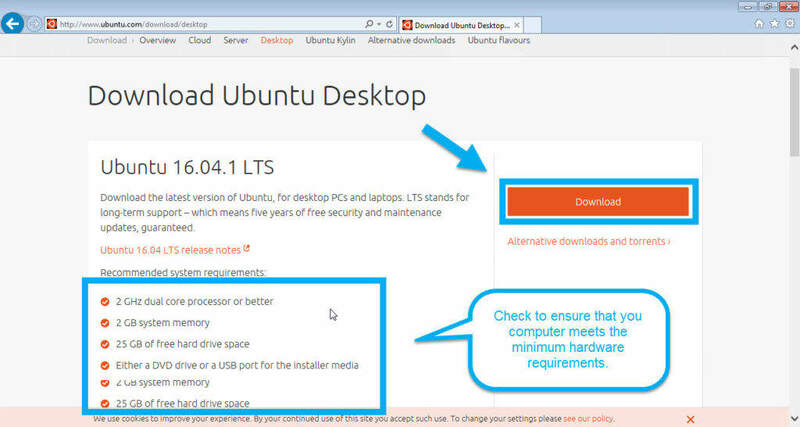 If you choose to install Ubuntu from a USB drive, Ubuntu has a tutorial page found here. If you are more computer savy, try using Ubuntu’s USB tutorial because the installation will run faster from a USB than a DVD.